I setup the contacts but Webcore doesn’t see them. I did enable them in Webcore contacts. You are using the “send notification to contact” action? Yes, but it says no available contacts. And you said you already added them to webcore I’m the SmartThings app. I don’t know why it wouldn’t show. I cannot get it to work. Denies the request. Any ideas? Thank you. Are you leaving the string of numbers at the end of the url? Got it working. Should read things a little closer. Dopey me!! I’m not sure why the contact book became disabled - perhaps due to account migration, but any help getting it back would really be appreciated. I seem to be missing something. I enabled my contacts and I can now see them in the Smartthings app under “My Contacts”. 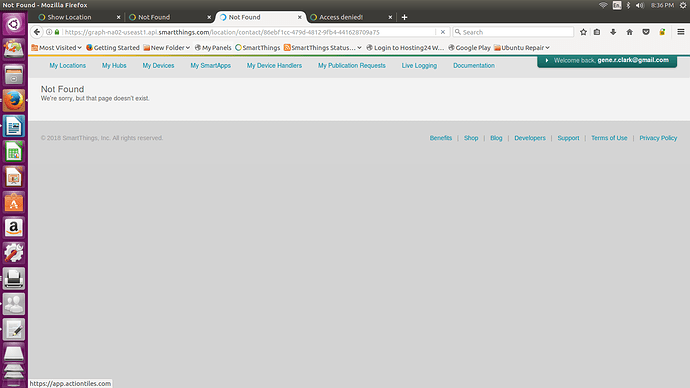 When I try to use “Send notification to contacts” in webCoRE, it says “no available contacts”. My contacts listed in the Smartthings app, each have an email, phone number, and a user_uuid. How do I get my contacts to be available? 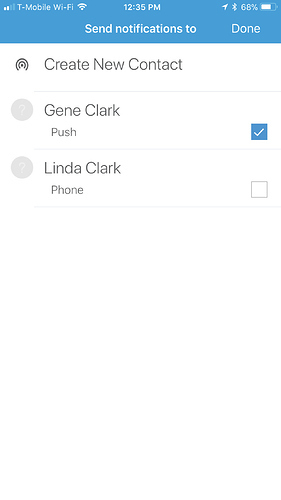 Did you also add the contacts in the webCoRE app, under Settings (same place as adding devices)? 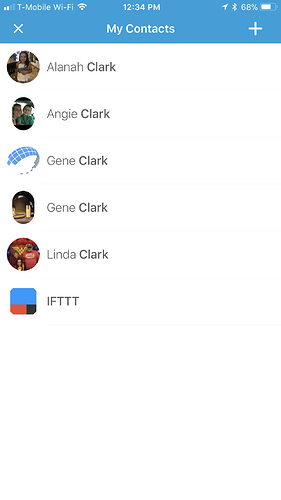 There were a few posts about (errors) sending notification to contacts earlier… might be related? Did ST finally break it? Thank you Elf. That’s what I was missing. I am able to select my contacts in webCoRE now. This feature seems to have issues as not all the contact information I’ve added on be website shows up in SmartThings app, not does all contact information added in SmartThings app show up in SmartThings app. Not only that but when I enabled contact book it broke all existing notifications through other smart apps. Here it shows my contacts in SmartThings app. But here it only shows a few contacts. So i did this and i get zero contacts going up. I just see that changing the url in the browser from “account/show” to “contact” only shows me a page that is blank. How do i add contacts here? Also are these contacts suppose to be people that have an ST account and are users assigned to my hub? 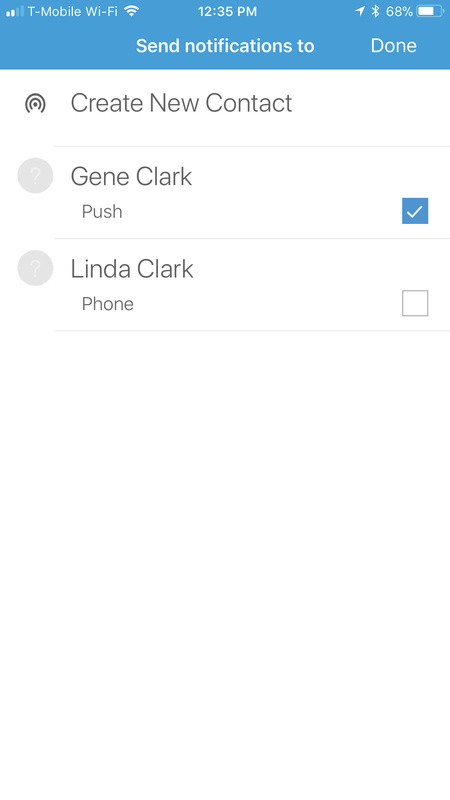 Try using the ST classic app, under ‘more’ there should be a new menu contact book … There’s a + in the upper right corner to add new contacts. As far as I can tell you can enter as many contacts with phone/e-mail as you like and they don’t need to have a ST account. By default it should show the people that have an account on your hub.